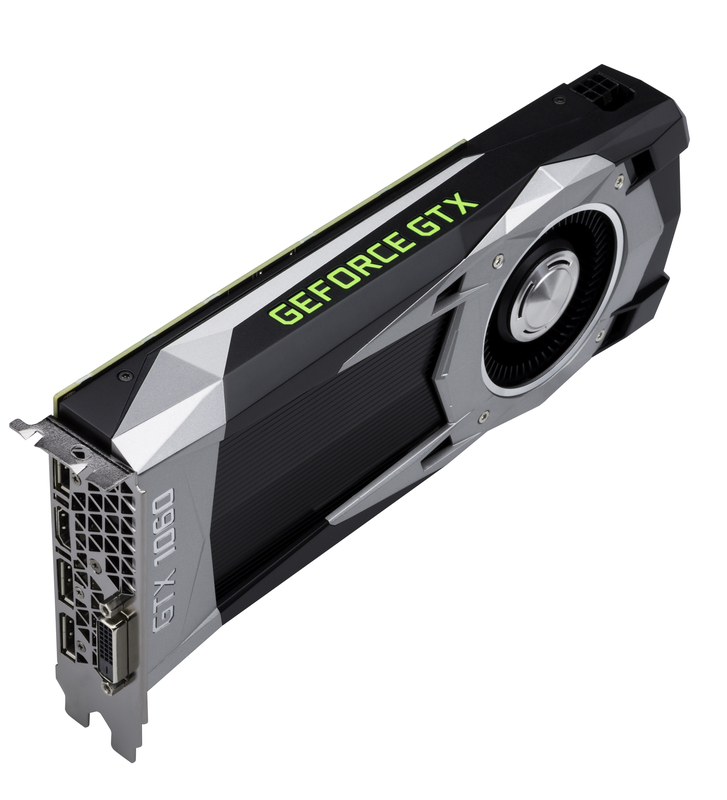 In a press release today, NVIDIA has announced the first budget entry in the company’s new 10-series of graphics cards: the GeForce GTX 1060. The GTX 1060 is the next entry in NVIDIA’s Pascal GPU range, and acts as a cheaper companion to the more powerful GTX 1070 and GTX 1080 headliners. While the latter two cards retail for US$599 and below, the GTX 1060 starts at US$249. It supports both NVIDIA’s VRWorks and Ansel technologies – newly announced software tools for VR developers and those interested in in-game photography. The GTX 1060 is just US$50 more expensive than AMD’s recently-announced Radeon RX 480, a card which AMD claims to be its own version of an entry-level VR-ready GPU. Initial benchmarks of the RX 480 show that to be true, but for $50 more, would it be worth going for a GTX 1060 instead? We won’t know until independent benchmarks can be performed once the card is on-sale. Ars Technica notes that NVIDIA claims the 1060 is “15 percent faster and over 75 percent more power efficient than the RX 480” and also that the 1060 beats the GTX 980 in pure performance. Still, we’ll need to verify the claims later this month. The GeForce GTX 1060 will be available on July 19.